(Courtesy Molly Powers) Students at the University of Utah rehearse in the shelter of the fold, an intimate new work by award... (Courtesy Matt Furman) Award-winning choreographer and director Doug Varone. (Courtesy Molly Powers) Students at the University of Utah rehearse in the shelter of the fold, an intimate new work by award... (Courtesy Molly Powers) Students at the University of Utah rehearse in the shelter of the fold, an intimate new work by award... (Courtesy Molly Powers) Students at the University of Utah rehearse in the shelter of the fold, an intimate new work by award... (Courtesy Nikki Carrara) Doug-Varone and Dancers in ReComposed. (Courtesy Erin Baiano) Hollis Bartlett and Alex Springer in Doug Varone and Dancers' Folded. (Courtesy Erin Baiano) Doug Varone and Dancers in ReComposed. (Courtesy Molly Powers) Students at the University of Utah rehearse in the shelter of the fold, an intimate new work by award-winning choreographer and director Doug Varone that explores the questioning inherent in faith. Doug Varone and Dancers, with Ririe-Woodbury Dance company and the U.’s School of Dance, will perform on campus Feb. 23-24. (Courtesy Matt Furman) Award-winning choreographer and director Doug Varone. (Courtesy Molly Powers) Students at the University of Utah rehearse in the shelter of the fold, an intimate new work by award-winning choreographer and director Doug Varone that explores the questioning inherent in faith. Doug Varone and Dancers, with Ririe-Woodbury Dance Company and the U.’s School of Dance, will perform on campus Feb. 23-24. (Courtesy Molly Powers) Students at the University of Utah rehearse in the shelter of the fold, an intimate new work by award-winning choreographer and director Doug Varone that explores the questioning inherent in faith. Doug Varone and Dancers, with Ririe-Woodbury Dance Company and the U.’s School of Dance, will perform on campus Feb. 23-24. (Courtesy Molly Powers) Students at the University of Utah rehearse in the shelter of the fold, an intimate new work by award-winning choreographer and director Doug Varone that explores the questioning inherent in faith. Doug Varone and Dancers, with Ririe-Woodbury Dance Company and the U.’s School of Dance, will perform on campus Feb. 23-24. (Courtesy Nikki Carrara) Doug-Varone and Dancers in ReComposed. (Courtesy Erin Baiano) Hollis Bartlett and Alex Springer in Doug Varone and Dancers' Folded. (Courtesy Erin Baiano) Doug Varone and Dancers in ReComposed. Modern-dance master choreographer Doug Varone’s new work, “in the shelter of the fold,” is described as exploring the questioning inherent in faith. That’s a pretty deep philosophical idea. But Varone said he has faith the work will find a receptive audience when his company performs it this weekend at the University of Utah. “The work is meant to allow every person to see some aspect of themselves in these dances and understand the world from their perspective,” said Varone, who is renowned for creating movement brimming with meaning. 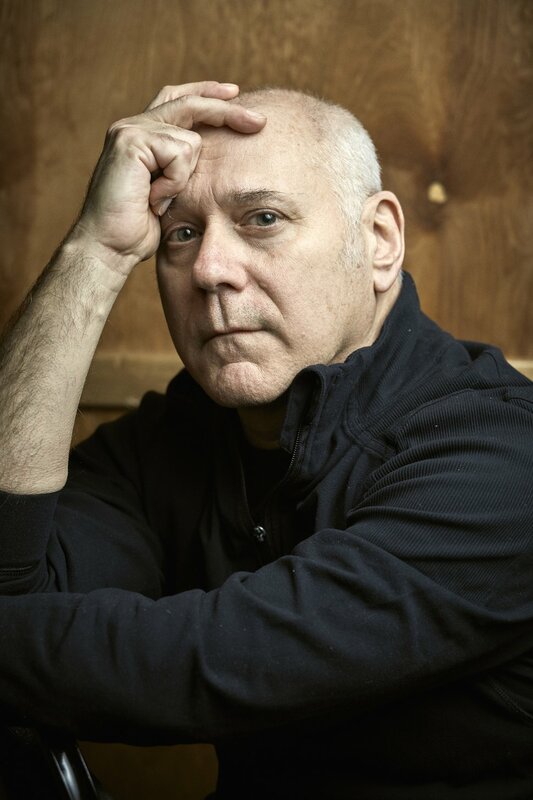 (Courtesy Matt Furman) Award-winning choreographer and director Doug Varone. Was there an event in your life that made you question your faith? I’m fascinated by faith — the word has so many different meanings. It’s easy to rally around the religious aspect of it. Honestly, that could have been the initial jumping off point, exploring what it means to have faith, or not. As someone who has fallen away from that tradition, I still have great faith in believing in something. The circularity of that word comes back to “what do I believe in?” The word has a large connotation — if I don’t believe in the idea that there is something out there, what do I believe in? What do I come to terms with? Do you express your faith through art? I created the work as a means of finding my way back to creating dances that had an emotional edge and had intimacy. I had been creating a lot of very big movement dances — with this, I’m returning to creating dances about detail and the connection between human beings on a very specific level. This is a series of smaller dances that live under the umbrella of one big piece, but took different approaches to the concept. The piece can be danced together as a suite or each section stands independently on its own. Did this exploration change any of your fundamental beliefs? Nothing changed for me. I look at the larger embracing of that word — it’s about trust and confidence and really having a firm belief in something that there is absolutely no proof of. I believe there is something very deep within ourselves that allows us to have that faith. And the larger question is what is within us that pushes us to have belief — for some it is a religious held truth, for others it’s spiritual and for others it’s personal. How do you anticipate the work to be interpreted in a large faith community like Salt Lake? I think it will be received the same way it is received anywhere else. I have faith in my work that it will find its way into people’s hearts who see it. You’ve been quoted as saying that dance “is the only art in which the body can be expressed by means of the soul.” How do you communicate such deep philosophical ideas through dance? When you come to see a work, you have got to bring your imagination to it. … Allowing people to access what they’re seeing in front of them from a personal point of view — allowing them to feel, allowing them to recognize things that they do in their own lives … is key to the work that I make. Whether it’s about faith or whether it’s about something else. With Ririe-Woodbury Dance Company and the U.’s School of Dance. Part of the UtahPresents 2017-18 season. When • Friday, Feb. 23, and Saturday, Feb. 24, at 7:30 p.m.
Tickets • $30, $5 for U. students, $10 for all other students; utahpresents.org or 801-581-7100. On the program • From Doug Varone and Dancers, “in the shelter of the fold” and “LUX,” plus Varone will perform a solo work, “Two Piano Pieces.” The program also includes a performance by Ririe-Woodbury Dance Company of “Strict Love,” and a duet by R-W artistic director Daniel Charon and his wife, Natalie Desch, who were in Varone’s company for many years. Brad Beakes, a former Ririe-Woodbury dancer, now a full-time company member with Varone, also will be performing.